I think mashed potatoes were one of the first things I learned to make as a child. It was probably equal parts ease of doing and desire of eating. To this day, I still love a big pile of this fluffy starch on my plate. Some days I like it whipped and creamy, other times lumpy with chunks. Either way, this is a great addition to any meal. 1. Wash, peel, and cut the potatoes into quarters (if small) or eighths (if big). Cut them down to the same size, so they will cook evenly. 2. Place the potatoes in a pot and fill with cold salted water, enough to cover the potatoes by 1-inch. Bring to a boil, then reduce heat and simmer until potatoes are fork tender (timing depends on the size of cut potatoes). 3. Turn off the heat, drain potatoes, then return them to the still hot pot. Mash the potatoes, adding milk and butter in increments until desired texture is reached. Season to taste with salt and pepper. * The type of potato you use determines the texture. For example, red potatoes will be creamy and a bit dense, while russets are fluffier and airy. * Be careful not to overcook the potatoes. When fork tender, they should be soft but still just a bit firm. If they crumble, then they are over-boiled, waterlogged, and will end up tasting like water! * For a richer flavor, use half & half or cream instead of milk. * To make super smooth and creamy potatoes, put them in a food processor or use a hand blender. 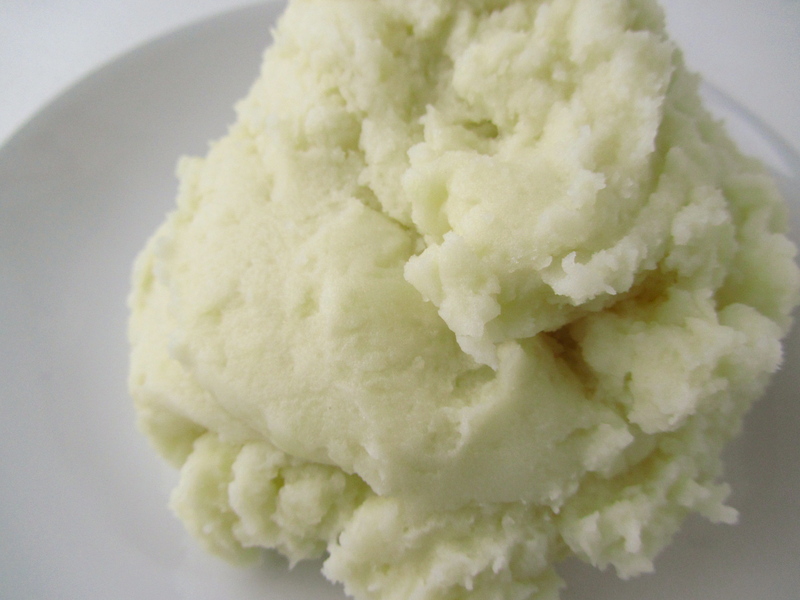 I put mashed potatoes with most of my favourite meals. Especially chicken wings/parmigiana. Yum!